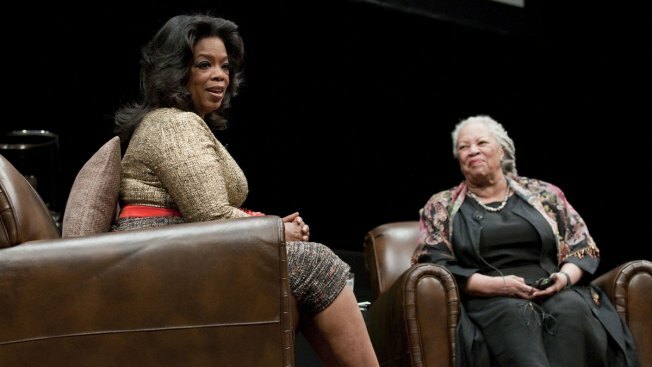 Oprah Winfrey and Toni Morrison attend the Carl Sandburg literary awards dinner at the University of Illinois at Chicago Forum on October 20, 2010 in Chicago, Illinois. Winfrey will honor Morrison with a lifetime achievement award. The latest prize for Nobel laureate Toni Morrison will be presented by Oprah Winfrey. Winfrey, who has chosen such Morrison novels as "Song of Solomon" and "Paradise" for her book club, will introduce the author during a Dec. 11 dinner ceremony. Morrison's longtime publisher, editor-in-chief Sonny Mehta of Alfred A. Knopf, also will be honored that night. He is the winner of the Maxwell Perkins Award, named for the celebrated editor of Ernest Hemingway and F. Scott Fitzgerald among others. He will receive the prize from novelist Carl Hiassen. The Center for Fiction is a nonprofit with a mission to "encourage people to read and value fiction."